One of the last Jewish nonnas gives the famous chef a lesson in artichokes. If you haven’t been watching Jamie Oliver’s current television show, Jamie Cooks Italy, or at least read the accompanying cookbook Jamie Cooks Italy — From the Heart of the Italian Kitchen, do so immediately. The Naked Chef has, happily, given all the healthy eating/culinary cultural appropriation stuff a rest and returned to promoting wholesome comfort food, with the help of adorable Italian grandmothers who constantly critique his technique while pinching his cheeks affectionately. 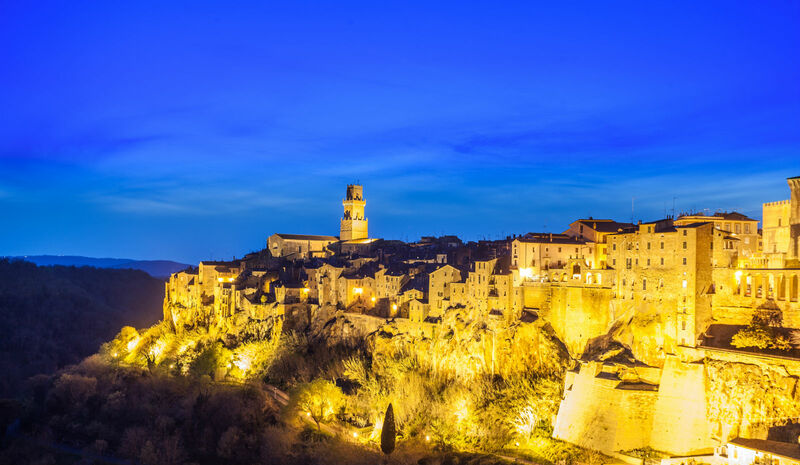 In the “Tuscany” episode, Jamie visited Pitigliano — a walled, hilltop town coined “Little Jerusalem” due to its once-flourishing Jewish community and the old city-esque cobbled, narrow streets of its ancient Jewish quarter. Pitagliano’s Jewish population peaked in the early 19th century, when it accounted for around 20 percent of the town’s inhabitants but after the unification of Italy in 1861, Pitagliano Jews began emigrating to larger cities with greater economic promise. The town’s dwindling community decreased further after Italy’s Racial Laws were implemented in 1938, which restricted Jewish civil rights and prohibited Jews from education and public office. Those who remained were forced to hide — often in the surrounding farmland, aided by the local population. After the war, only 30 Jews returned to Pitigliano, and these days, there’s less than a handful left. The Jewish quarter is now a museum, meticulously restored so that those visiting the synagogue, communal kosher oven, and mikveh can imagine Jewish life during Little Jerusalem’s heyday. 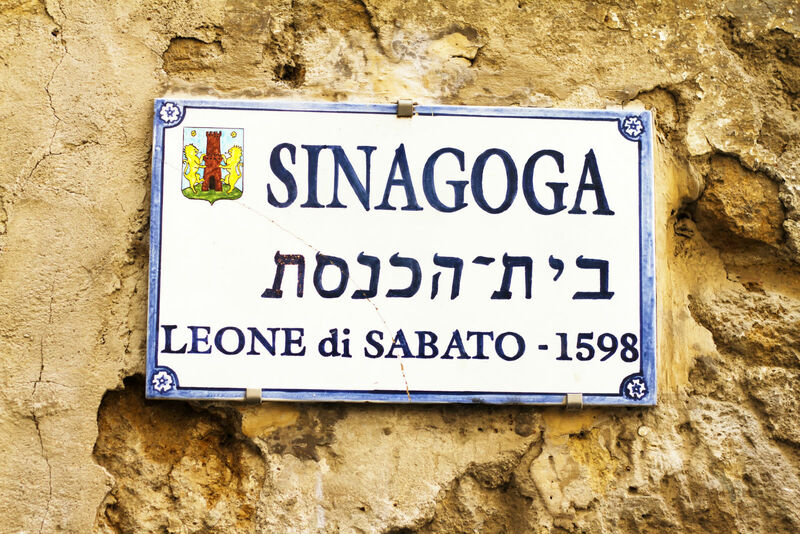 Oliver does just that, exclaiming, “Oh, the stories these walls could tell” in his distinctive Essex twang as he walks to the synagogue to meet nonna Elana, one of Pitigliano’s remaining Jews. 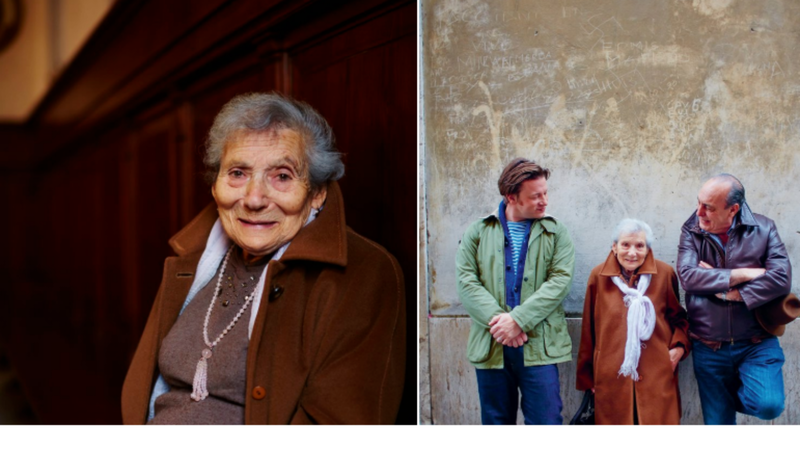 At 87, Elena is bright-eyed but frail after a recent fall so, instead of cooking her mother’s stuffed artichokes alongside Jamie, she explains the method over coffee and sends him away to have a go. Oliver dutifully stuffs the artichokes with ground beef seasoned with parsley, basil, and a pinch of dry chili, then breads and fries them before braising in a sweet tomato sauce. After a nap, Elena is ready to taste his efforts and nods approvingly. “You’re a very good chef,” she says, with a bubbe-like kvell. What Jamie missed in his quest to discover “the spiritual home of Jewish-Italian cooking” is a Jewish delicacy unique to Pitigliano called sfratto — a cookie filled with honey and walnuts, shaped like a stick. The cookie’s shape and name — sfratto means “eviction” — recall the treatment of the Jews under Medici rule in the 1620s, when officers wielding sticks would evict families from their homes and move them to the Jewish ghetto. Years later, it became tradition to serve sfratti on Rosh Hashanah as a symbol to ward off any future evictions, which inspired Pitigliano’s Christian neighbors, who served the cookies at weddings to keep any marital conflict at bay. The history of Pitigliano’s Jews exhibits the classic tropes of communities worldwide, alternating between being beloved and persecuted, and then often, departed. Their food, however, lives on, and while we don’t need Jamie Oliver’s encouragement to continue stuffing artichokes and rolling sfratto, it’s nice to know we have it.